June 24, 2014  The move comes one week after the Miami Heat were trounced by the San Antonio Spurs in the NBA Finals. The chance remains that James could return to Miami. June 6, 2014  The air conditioning in San Antonio's arena broke down, leaving the host Spurs and the Miami Heat sweating in 90-degree temperatures as the NBA Finals began. June 4, 2014  The lawyer says Donald Sterling will honor last week's deal by his estranged wife to sell the team to former Microsoft CEO Steve Ballmer for $2 billion. 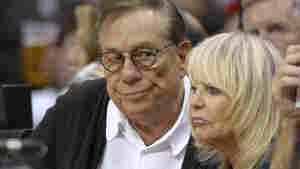 May 23, 2014  Donald Sterling has agreed to let his wife negotiate a deal to sell the Los Angeles Clippers, according to reports. Sterling was banned for life by the NBA for making racist remarks. May 12, 2014  "I mean, that's not the way I talk," Clippers owner Donald Sterling tells CNN. 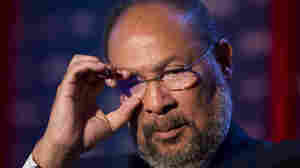 He also said he doesn't see Magic Johnson as "a good example for the children of Los Angeles." May 9, 2014  Parsons previously served as CEO of Time Warner. 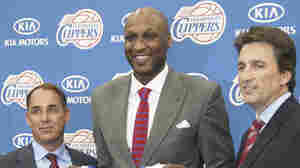 The appointment comes in the wake of the scandal surrounding racist comments made by Clippers owner Donald Sterling, whom the league banned for life. May 6, 2014  Andy Roeser will step down effective immediately. 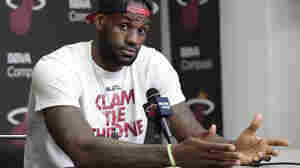 His leave comes a week after Clippers owner Donald Sterling was banned for life from the league for making racist comments. May 4, 2014  The Los Angeles Clippers continue their playoff run, days after the team's owner was banned for life by the NBA. 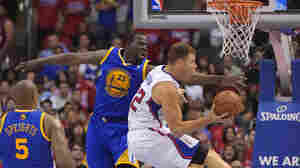 The Clippers ended the Golden State Warriors' season in a back-and-forth game. 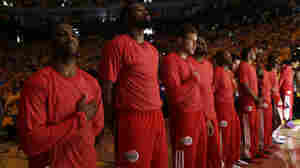 April 29, 2014  Current and former NBA players are praising the league's decision to punish LA Clippers owner Donald Sterling with a lifetime ban over racist remarks he made in an audio recording. 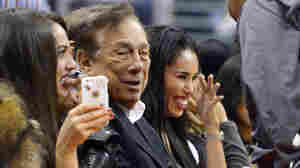 April 29, 2014  Los Angeles Clippers owner Donald Sterling is being punished for making racist remarks in an audio recording that was made public Friday. 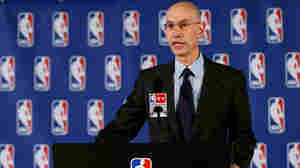 His fine is the maximum allowed under the NBA's charter. 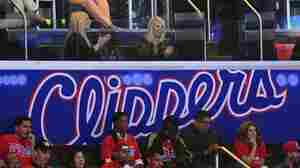 What Can The NBA Do With Donald Sterling? 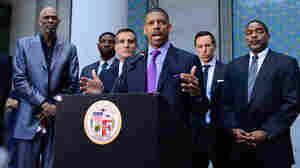 April 28, 2014  As the NBA playoffs are overshadowed by racially inflammatory remarks attributed to the owner of the Los Angeles Clippers, the league's options range from fining Sterling to expelling him. 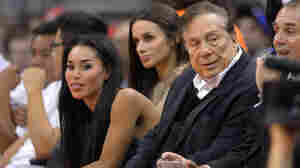 April 26, 2014  An audio recording that allegedly captures remarks by Los Angeles Clippers owner Donald Sterling criticizing a woman for publicly "associating with black people" prompts an NBA investigation. March 30, 2014  "It's over," declared the headline at the Philadelphia Inquirer. After weeks filled with nothing but losses, the Philadelphia 76ers finally won a basketball game Saturday night. 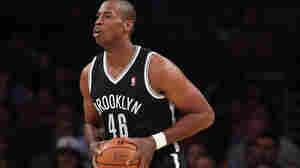 February 24, 2014  The first openly gay man to play for a team in one of the nation's four major professional sports, Collins has joined the Brooklyn Nets. There was applause and some fans stood when he played Sunday. November 25, 2013  Derrick Rose, the Chicago Bulls guard who missed all of last season after knee surgery, has injured his other knee and will miss the rest of the current NBA season. 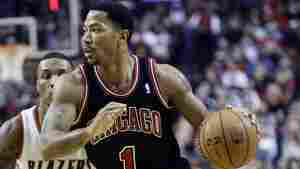 The Bulls say Rose had "successful surgery" Monday to repair a torn medial meniscus in his right knee.